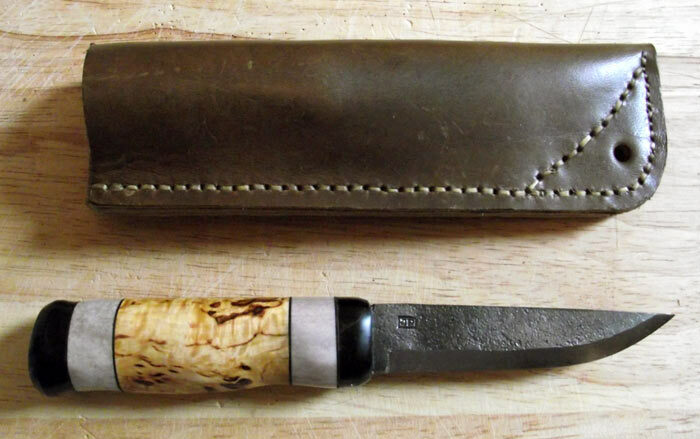 I used curly birch, reindeer antler, bull antler and leather spacers. This entry was posted in Bushcraft Clothing & Equipment, Customer Posts on July 18, 2011 by Woodlore Team. That’s fantastic man! Love that handle!! !